This unique piece of equipment was recently designed and built at our Taunton depot. 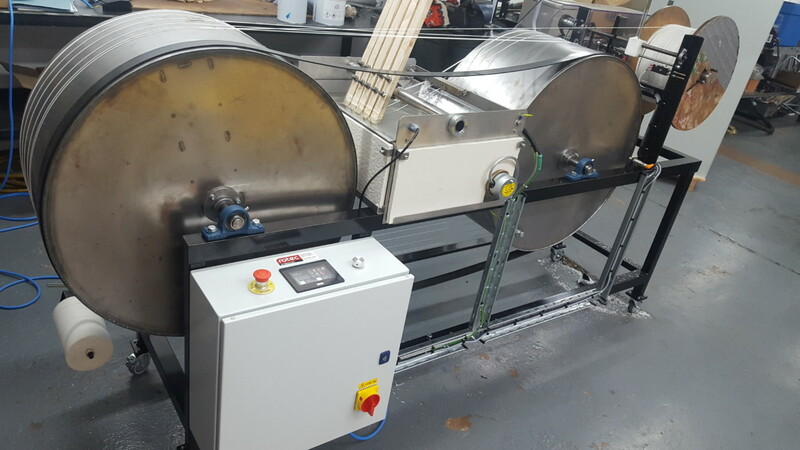 The unusual request came as a result of one of our existing existing customers, a well-known candle manufacturer, recommending Rotec to their supplier – a company specialising in the manufacture of candle wicks. 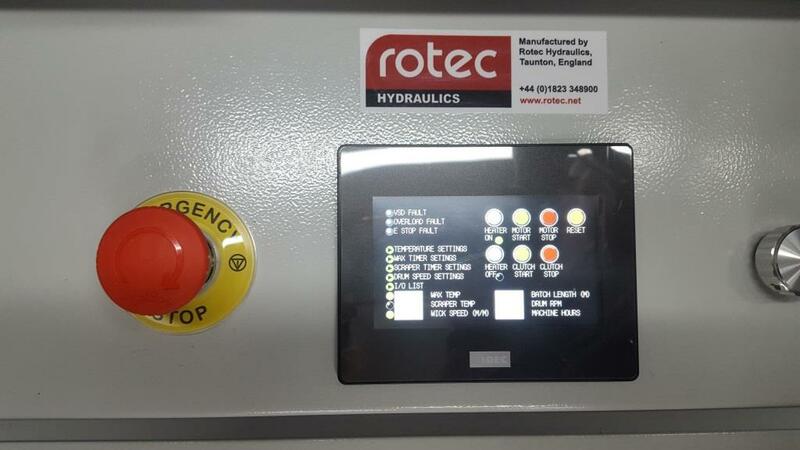 Rotec previously undertook a variety of repairs and control system projects for the candle maker and had also supported the wicks manufacturer’s machinery. Following a successful PLC re-programming project, we were asked to manufacture a waxing machine. Using old conceptual designs left by the previous manufacturer, Rotec produced an up-to-date design, new CAD drawings and a modern control system. Our team of talented engineers then successfully completed the build. 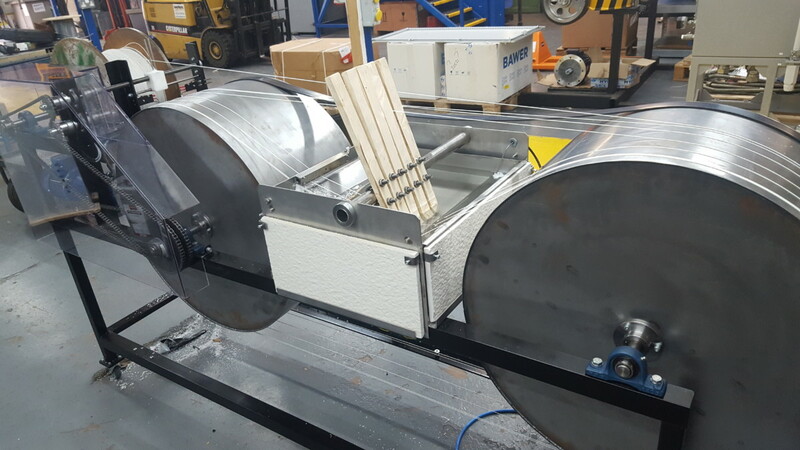 The machine is designed to impregnate and coat a continuous length of wick cord with wax and re-spool onto a new drum. The process involves a multi-pass immersion process through a molten wax reservoir followed by periods of cooling and hardening. The wax is maintained at a constant temperature, indirectly heated by hot water in a vessel located below the wax reservoir. A plc is used to control wax temperature, main drive motor speed and spooling control of the finished product. The machine is now complete and will be installed at the customer’s premises within the next couple of weeks. The machine is capable of producing sufficient finish waxed wick for up to half a million wicks a day, depending on the length of the wick required. Rotec and the customer are already in discussions about the next project, the design and manufacture of a wicking machine designed to cut the wicks to the desired size and insert the sustainer (the small metal disc sitting at the bottom) ready to be inserted into a candle.